We move now to the psychedelic folk portion of our 60’s Psychedelic Experiment. Psychedelic folk is not as specified as last week’s garage rock psychedelic genre. Psych Folk (for short) exploded in the mid 1960’s as one of the most malleable forms of psychedelic music. One of the reasons why Psych Folk became the most common form of psychedelic music (at first) was because it was not a huge jump from current music. Psych Folk simply adjusts acoustic instruments and adds obscure sounds common with psychedelic music. As it became more refined and widespread, musicians added creative vocalization (like chanting). When people explore the foundations of this broad sub-genre, most point to the band above, The Holy Modal Rounders, as one of the main Psych Folk originators. 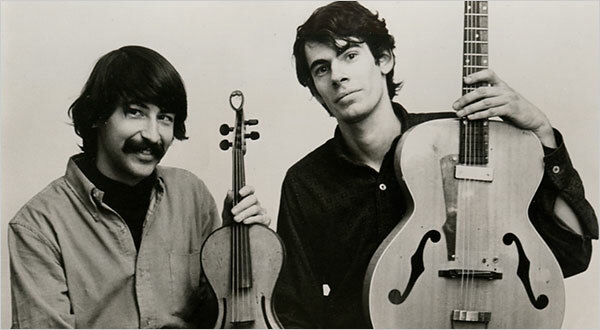 The Holy Modal Rounders came from the burgeoning music scene in Greenwich Village. They released their eponymous first album in 1964. The album is folk, but underneath the obvious exterior is some elements of latent psychedelia. (By the way, Sam Shepard played drums for them for a time – yes, the playwright). Many people point to the Holy Modal Rounder’s version of “Hesitation Blues” because they actually mention the term “psychedelic” in this song. They pronounce it “psycho-delic,” but it was the first mention of the term in a song, ever. That stands for something. But, do listen. This is simply a sped-up folk version of the blues classic. Yes, Peter Stampfel and Steve Weber have cool voices, but their Psych Folk mastery did not come until later. Listen to this.